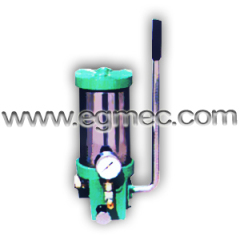 Manual lubrication pump is achieved by the artificial swing the handle, the pinion gear driven by grease plunger reciprocation, when the plunger is in the right end limit position, the right end of the end of the oil pressure chamber, the left end chamber suction finished. When the piston moves to the left , to close the left chamber, open the top of the one-way valve by valve runner discharged into the charge of grease. 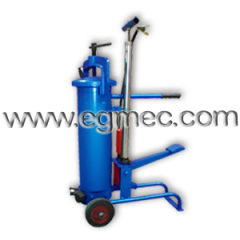 Group of Manual Lubrication Pumps has been presented above, want more	Manual Lubrication Pumps and Manual Lubrication Grease Pumps, Please Contact Us.